Finally, Mike decided he’d had enough. He wanted to change his life, so he walked to your Mission. “I came here to find God again and to get the bad habits out of me,” he says. Since entering our P.A.C.E.S. (Purpose, Accountability, Christ, Education, Service) program, Mike has grown stronger in the Lord through chapels and Bible studies. “I have more understanding, trust, and faith in God,” he says. Mike has grown emotionally through the program, as well. “I’m more positive, humble, and friendly,” he says. 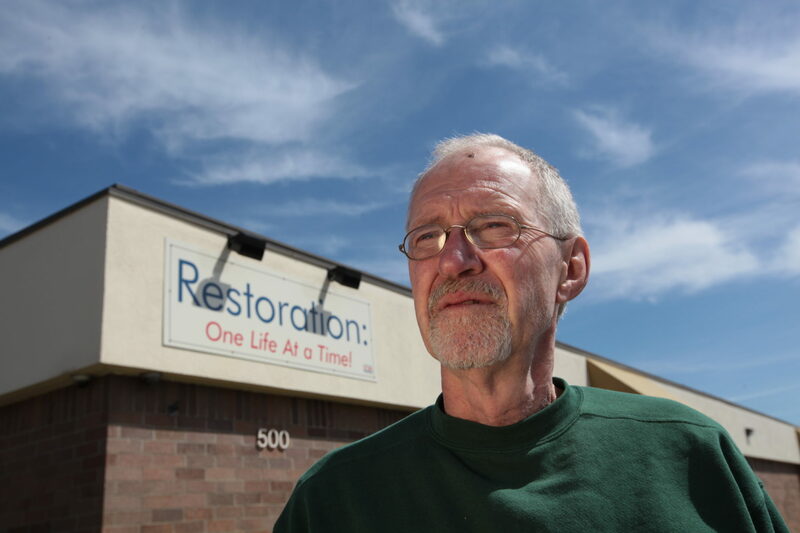 Mike has been sober for a year now while working in maintenance at your Mission. He built a beautiful office here, and word-of-mouth is earning him more construction jobs! “I feel fulfilled and more confident about myself now,” he says. Mike has since graduated from our program and moved into his own apartment! He credits God and the Mission with literally saving his life. To read this issue of The Revealer, click here to download. Mike’s story of hope and healing is inspiring. Our long-term recovery programs exist to help other men and women in central Indiana find healing. Will you help provide this help to others?